Served up for you in this edition of MRM New Bites, we the Murray Brothers bringing Caddyshack to their beloved Chicago, Toast and Wisely teaming up for restaurant management tools, LibDib launches, The Very Best Burger Truck on tour and a pop-up tea house. Send news items of interest to Modern Restaurant Management magazine’s Executive Editor Barbara Castiglia at bcastiglia@modernrestaurantmanagement.com or modernrestaurantmanagement@gmail.com. Murray Bros. Caddyshack® Restaurant has signed an agreement to lease 8,600 square feet of space located in the Village of Rosemont at the Crowne Plaza Hotel. The six Murray brothers (Bill, Andy, Brian-Doyle, Ed, Johnny and Joel) and their three sisters (Nancy, Laura and Peggy) grew up in Wilmette, Illinois and all agree that Rosemont is close enough. “The Village of Rosemont is a fitting location for our next restaurant,” said Andy Murray, Co-founder of the brand.“In addition to the obvious ties to our family’s love of Chicago, it is ideally located at the Crowne Plaza Hotel and minutes from Chicago’s O’Hare Airport. Rosemont attracts 75,000 visitors a day and has become a world-class tourist and business-meeting destination which provides a very strong customer base,” Murray added. “We are extremely excited to have Murray Bros. Caddyshack be the signature restaurant in our hotel,” said David Friedman, President of F&F Realty, Ltd. and Manager of Crowne Plaza Chicago O’Hare Hotel & Convention Center. “Bill Murray has done so much to represent Chicago, its pride and the friendliness that Chicagoans are famous for. It’s only fitting that the Chicago area gets its own Caddyshack. We have searched for a long time for the perfect food and beverage outlet that provides our hotel guests and all of Rosemont with a great dining experience,” he added. And Mayor Brad Stevens couldn’t agree more. Stevens said he met Andy Murray a few years ago when the Murray’s were in search of a location. “I’m thrilled for the entire Murray family and naturally for the Village of Rosemont,” Stevens said. Scheduled to open by December, Murray Bros. Caddyshack will have more than 6,000 square feet of dining space and seating for 265 people. 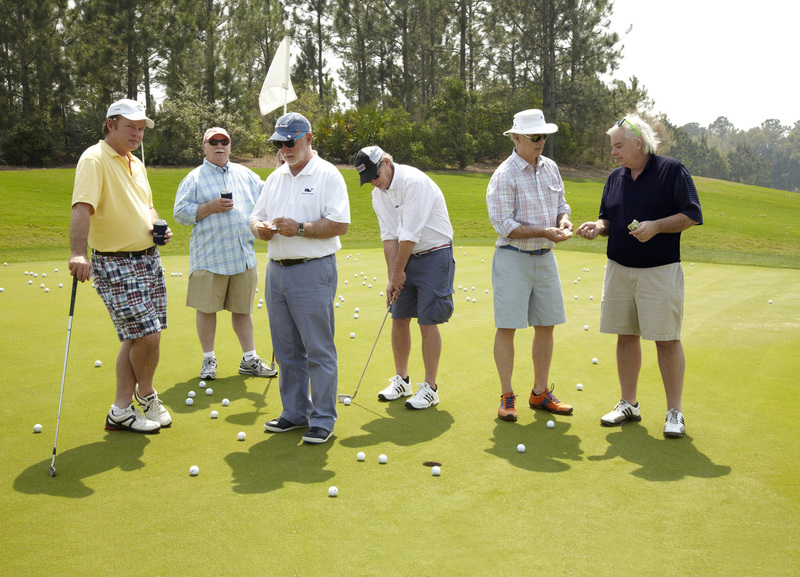 Peter Zakas of Zspace Design is overseeing the implementation of the Murray Bros. Caddyshack concept. Michael Tenuta of Avison Young is the project manager. The restaurant will be open seven days a week, serving lunch and dinner and will employ approximately 100 people. “We like to refer to Murray Bros. Caddyshack as a lifestyle concept. We are confident that our Rosemont location will be a ‘can’t-miss’ destination for sports fans – as well as those who are simply looking for a good time and great food,” said Mac Haskell, Andy Murray’s partner, long-time friend and the restaurant’s Co-founder and Chief Executive Officer. “The depth of our management team is astounding,” said Haskell. “We’ve covered all of our bases by assembling a team with extensive experience in food service, operations, entertainment and training to ensure our guests will have the best overall dining experience. The restaurant is a casual dining, full-service, family-friendly experience with spectacular and medium-priced comfort food and beverages of generous portions, served with an upbeat, feel-good and engaging style that appeals to all generations from Baby Boomers to Millennials. The space plan is open with an oblong shaped bar being a high energy focal point of the restaurant. LCDs featuring all the latest sporting events can be seen from every seat, providing a solution to Rosemont’s missing sports bar experience. It will have a retail area like the St Augustine store, a semi-private dining area for events and even a 350+ square-foot Golf Simulation Experience. Restaurant POS company Toast and restaurant management software Wisely recently collaborated for the release of a new eBook. Containing 65 tools, tips, and tactics restaurants use to personalize the guest experience and grow profit, the eBook was compiled by restaurant enthusiasts to give advice for restaurant management in the modern era. Finance, management, marketing, operations, and metrics are just a handful of topics covered in this free eBook. You can download it for free here. 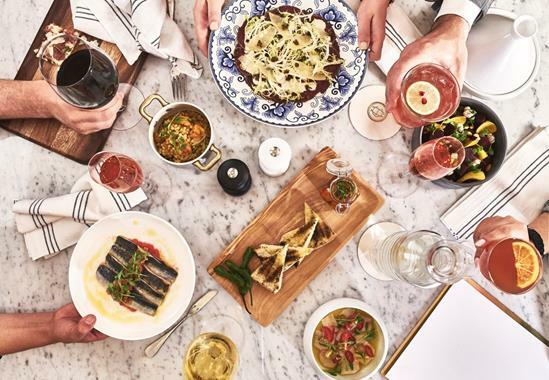 Chicago residents and beachgoers will soon have a new upscale dining option opening in August, 2017, with the arrival of Shore Club. 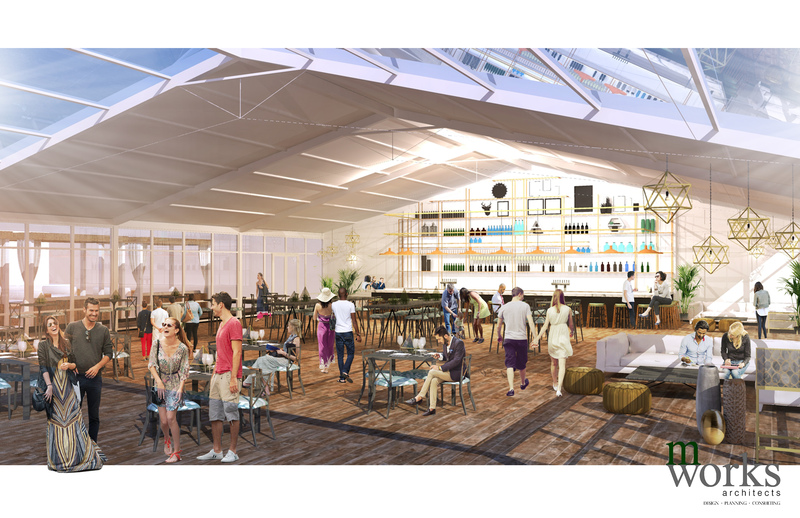 Nestled between the bustling Lakeshore Trails on the edge of North Avenue Beach at 1603 North Lakeshore Drive, the new multi-million-dollar seasonal restaurant, bar, and breezy hangout will provide guests with a new, and one-of-a-kind, beach-front dining destination in the Windy City. Featuring floor to ceiling windows and sweeping panoramic views of Lake Michigan, Shore Club is a space unlike any other in Chicago. A fun and inviting atmosphere for all residents living in the surrounding neighborhoods, or for those traveling to Chicago, this new venue will feature three distinct spaces – The Patio at Shore Club, The Restaurant at Shore Club, and The Oasis at Shore Club. Made up of three unique spaces, Shore Club aims to be a sought after destination for those looking to enjoy North Avenue Beach. The Patio at Shore Club will feature lunch and dinner service on a first-come-first-serve basis. The open-air patio is accessible to beach patrons and will be the hotspot for those looking to unwind with a quick bite and a cocktail after a long day on the beach. The informal and comfortable atmosphere will feature a rotating schedule of specialty workshops, cooking classes and local art exhibitions. The Restaurant at Shore Club offers an elevated food menu in a covered, open air environment. Boasting large glass windows and an attentive staff dressed in beach-inspired crisp whites with splashes of teal, The Restaurant at Shore Club will make visitors feel as if they are vacationing on a far-off coastal beach. Reservations are highly encouraged. Shore Club Brunch will also be offered every Sunday from 9am – 2pm at The Restaurant at Shore Club, and will feature a “country club” style experience with various food stations sure to satisfy those looking for a new go-to brunch spot. Tickets must be purchased in advance at www.beachsidebrunch.com. Shore Club will feature a Mediterranean-inspired food menu created by Executive Chef Elizabeth Tokarczyk, in partnership with Inspired Catering, which will focus on seafood dishes. In honor of the 59th Annual Chicago Air & Water Show, Shore Club will be celebrating by providing spectators with front row beachside seats all weekend long. On Saturday, August 19th and Sunday, August 20th, guests can purchase tickets to gain entry to Shore Club’s patio with exclusive access to the restaurant. The signature Shore Club Brunch will be included from 9a.m.– 12p.m. as well as a premium open bar. A pre-show event will also be held on Friday, August 18th. VIP cabanas are available in The Oasis at Shore Club as an upgrade to the General Admission tickets. Tickets, which range from $125 to $750, are available for purchase at www.airwatershow.com. 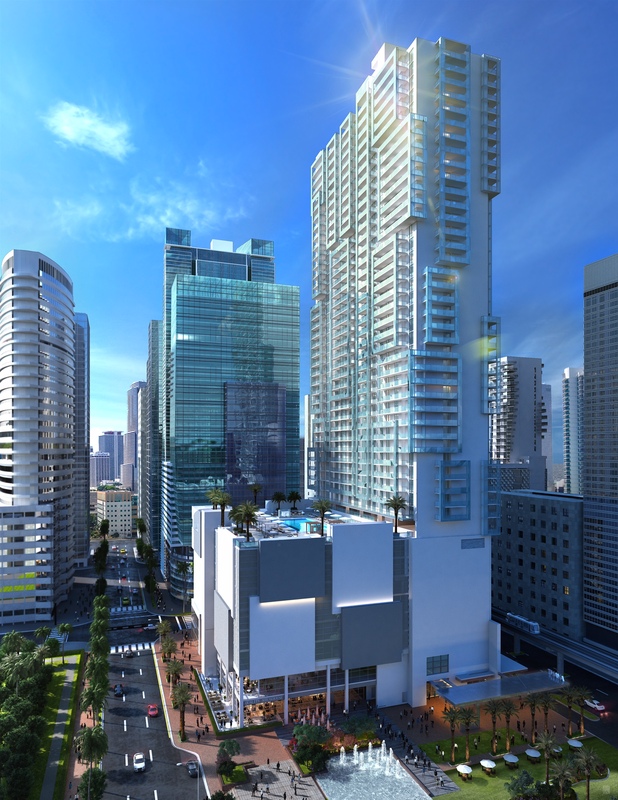 A 12,000 square foot Real Madrid restaurant, bar and merchandise store will be an integral part of Met Square, the final phase of MDM Group’s Metropolitan Miami development in downtown Miami. Noted by Forbes as the world’s most valuable soccer team, the facility was announced as a first-of-its-kind, a prototype for ongoing expansion of the concept. To be located within Met Square, at 340 SE 3rd St., Miami, the two-story facility will feature a restaurant, bar, Real Madrid themed merchandise store and a VIP Lounge. It is expected to open in early 2018. Lyle Stern, President of Koniver Stern Group, represented MDM in the transaction. Kevin Lurie, Principal of Creative Realty Group, LLC, a commercial real estate organization, negotiated the transaction on behalf of Real Madrid Café. Terms were not disclosed. One of the world’s most recognized sports brands, Real Madrid is a soccer icon, featuring renowned players such as Cristiano Ronaldo and James Rodriguez, among many others. Met Square as a whole is expected to be completed by second quarter 2018, with anticipated attractions such as its signature SilverSpot Theater expected to be open by the end of 2017. City Hall Bistro, The Adolphus’s newest culinary addition catering to locals and travelers alike, opened Tuesday, July 11. Offering breakfast, lunch, dinner, and weekend brunch, the menus of Southern European-influenced dishes are presented as small plates, composed dishes, and shareable, larger portions. Dishes such as Paella Valenciana with clams, mussels, housemade chorizo, chicken, peas, pequillo peppers, and saffron or the Shortrib Stuffed Pequillo Peppers with arugula, preserved lemon, and pine nuts are designed by the culinary team to be enjoyed individually by solo guests at the counter or layered with other dishes to be shared amongst the table of larger parties. To complement meals, the wine list features an approachable selection of old world wines served by the quartino. Thoughtfully selected wines and inventive cocktails from the bar enhance the convivial atmosphere of the restaurant. The accessible nature of the wine program is further reinforced by upcoming wine dinners, the first to take place at the end of July. The space, clad in soft tones of white, brass, and leather accents, was designed by Dallas’s own SWOON the Studio. Four Foods Group (FFG) acquired a majority stake of Mo’Bettahs, a six-unit Hawaiian-style restaurant chain. The all-cash acquisition closed on July 1. Mo’Bettahs was founded in Bountiful, Utah, nearly a decade ago by Kimo and Kalani Mack. The popular eateries have achieved steady growth with authentic Hawaiian-style food and cultural offerings. The Macks, who deliver the sights, sounds, tastes, and smells of their Hawaiian homeland, will continue to lead Mo’Bettahs and their future expansion strategy. Smith was impressed with how the Mack brothers work to foster the vision of a bright future for the Mo’Bettahs family of employees. The Macks are known for creating an atmosphere in each store so patrons feel as if they have stepped off a plane in Oahu, Hawaii, and walked into their home. “We cannot wait for what Four Foods Group has in store for us. Everyone has been so kind while also getting down to business and offering what we need. I am excited to work with the caliber of talent that exists at FFG,” said Co-Founder Kalani Mack. This acquisition is an important milestone, allowing Four Foods Group to cross the threshold of 100 restaurants across the U.S. The company now has 105 total restaurants under management and is growing two to five new units a month across their portfolio of brands. 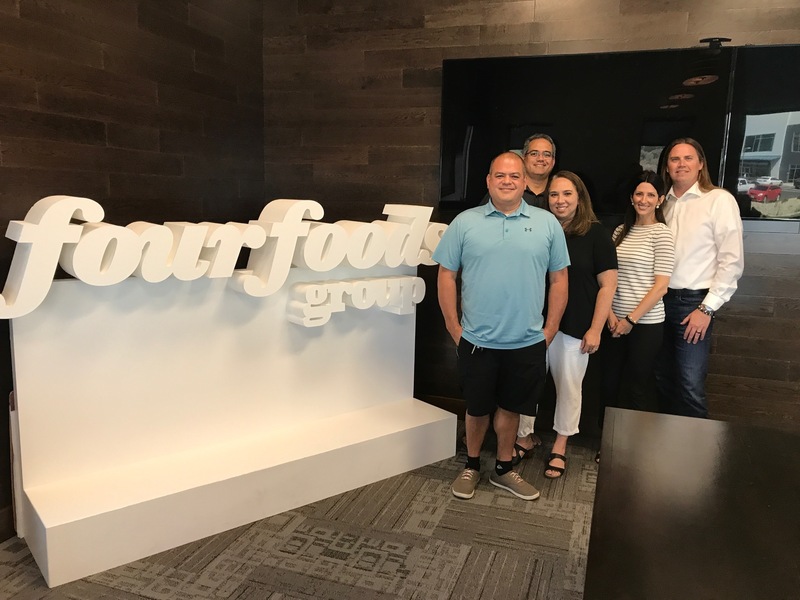 Four Foods Group has been on an explosive growth run over the past five years and is now expected to generate more than $160 million in annual revenues. CEO Andrew K. Smith was recently recognized as an Ernst and Young Entrepreneur of the Year for the company’s efforts. Crewe Capital, an independent investment banking, securities, and mergers and acquisitions firm, acted as the exclusive financial advisor to Mo’Bettahs in the transaction. “Kimo and Kalani Mack have accomplished one of the most difficult things to do in the restaurant business: they created and launched a brand and have grown it from one to six stores. That is incredibly hard and rare in this business. We are excited to extend this effort and expect to add 50 to 75 Mo’Bettahs units across the United States in the next three to five years,” Smith continued. Umami Burger continues to grow its global footprint with the opening of the popular restaurant in Hudson Hotel in the heart of Manhattan, on July 10. The launch of Umami Hudson marks the first Empire State hotel restaurant, first-ever breakfast menu, fourth location in New York and 26th worldwide, and is yet another exciting development in 2017 for the cutting-edge gourmet burger brand. This year saw the opening of Umami Tokyo, the brand’s first international restaurant; the debut of the Impossible Burger at nine of Umami Burger’s West Coast locations and one of its most successful launches to date; and the unveiling of the redesigned Umami Burger at The Grove in Los Angeles in June. As with all Umami Burger locations, the Umami Hudson experience is unique and authentic to the destination. In addition to Umami Burger signatures such as the original Umami Burger with Parmesan frico, shiitake mushroom, roasted tomato, caramelized onions and Umami ketchup; and the Manly Burger with a house beer-cheddar cheese, bacon lardons, smoked-salt onion strings, Umami ketchup and mustard spread. Chief Operating Officer Gregg Frazer has created menu items exclusive to Umami Hudson including shareable bar-friendly appetizers designed to pair with Umami signature cocktails from the fully stocked bar, lined with 65″-70″ flat screen TVs, and specialty breakfast sandwiches that introduce the elusive Umami “fifth taste” to the most important meal of the day. 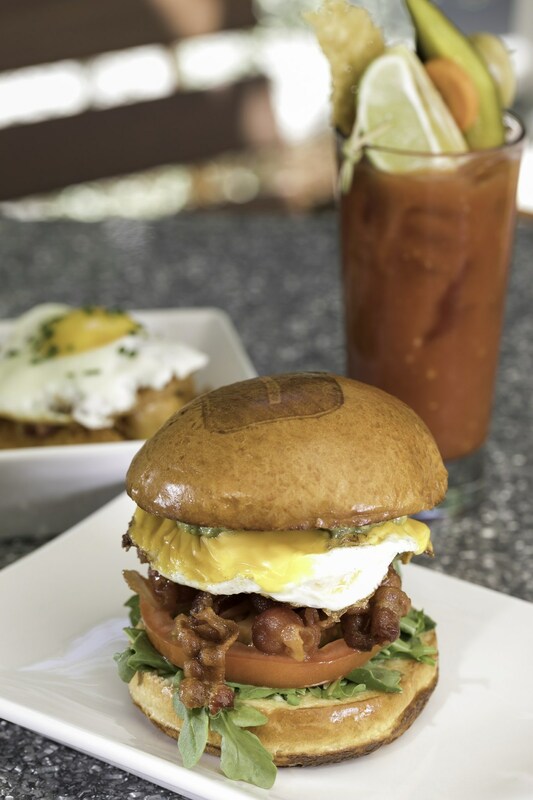 The Hudson breakfast burger features anorganic over-medium egg, miso-maple bacon, avocado, fresh tomato, arugula and American cheese, topped with garlic aioli on a brioche bun. Specializing in more than just its menu, Umami Hudson continues the brand legacy of carefully crafted interior and exterior design. 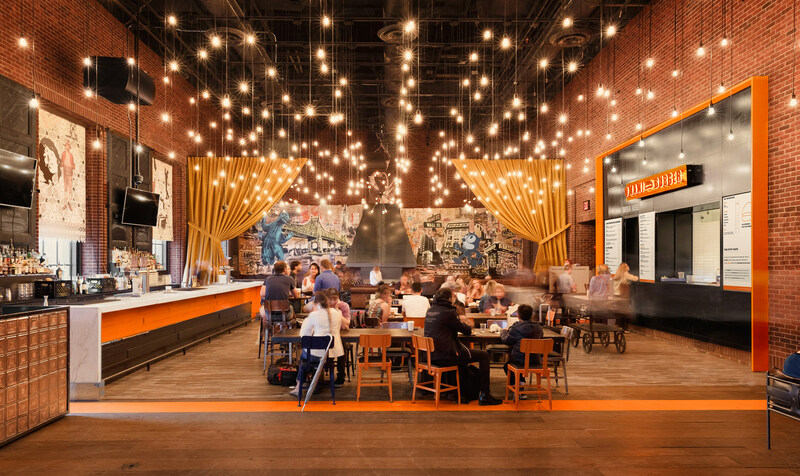 The dynamic eatery with pops of color throughout was designed by sbe subsidiary, Dakota Development. Decor highlights in the spacious dining area with lofty ceilings include exposed brick, eccentrically stenciled dark wood tables and drapery that creates a designated lounge area complete with Chesterfield and Winston sofas and a fireplace. The restaurant also features a street art-inspired focal wall by contemporary artist Ryan Graeff, whose stirring Umami Hudson-custom mural is inspired by iconic New York City scenes, along with a striking Godzilla reference that nods to Umami Burger’s Japanese roots. Umami Burger continues on its quest to push boundaries and break the mold within the social dining space with a new design by world-recognized DESIGNAGENCY from Toronto, and new Umami-take on culinary favorites – both unveiled at the re-opening of its location at The Grove. To celebrate, the gourmet burger brand and Sam Nazarian, Founder and CEO of sbe, Umami Burger’s majority shareholder, hosted a grand opening party on June 29 for friends, family, and foodies in partnership with Peroni and JUST water. In attendance were Jaden Smith, Rick Caruso, influencers, and media. Designed by DESIGNAGENCY, the new look of The Grove, and all Umami Burger locations moving forward, is accessible, authentic, and spirited. Incorporating polished concrete, neon feature signage, reclaimed and new charred wood, perforated metal paneling, leather, painted millwork edging, custom graphics, and a “social bar” serving as the focal point of the space. The large outdoor patio features multi-colored canopies, banquette seating, an exterior bar, wooden stump stools, concrete finish dining tables, and is equipped with a play area for kids – reaffirming the brand’s ‘social dining’ vision and making it the place to bring your family and friends this summer. Umami Burger debuted new menu items at The Grove location, such as their buzzed-about Impossible Burger, the first plant-based, no meat patty that smells, taste, cooks and even “bleeds” like real beef, as well as its Umami-take on milkshakes, adding its perspective to the classic treat for the first time, complete with boozy milkshakes. Three-time GRAMMY award-winning artist Zac Brown, of Zac Brown Band, has teamed up with the Atlanta Hawks to open the next restaurant under the Southern Ground family of brands, Zac Brown’s Social Club, in the heart of Atlanta, Philips Arena. No stranger to the restaurant business, Brown has owned two previous restaurants prior to this, and the venture into the Atlanta food scene brings his Southern Ground brand to the heart of the city. Getting to showcase his culture and the food that helps to define it, Brown is excited to be working with the Atlanta Hawks on such a special project. “Food has always been a passion of mine, from owning my own restaurant on Lake Oconee, to opening the Southern Ground Social Club. I love that food represents togetherness and gathering everyone around the family table for a great meal. I’m excited to open Zac Brown’s Social Club and invite Atlanta to our table,” said Brown. The restaurant will be run by Southern Ground Executive Chef, Chef Rusty Hamlin, who has been cooking alongside Brown for over a decade and is the host of the renowned pre-concert dinner party, the “Eat & Greet”. Pulling inspiration for the restaurant from Zac’s own style of southern living, Chef Rusty is designing a menu fit for Atlanta and in the tradition of southern cooking. “I’m excited to be working with Zac to bring the food we love to cook to everyone in Atlanta and thrilled with get to do it with Philips Arena and the Atlanta Hawks. There is a lot of creativity at Southern Ground and I can’t wait to be able to show it off with this restaurant,” said Hamlin. Chef Rusty and the team at ZB Customs, Brown’s custom made furniture company located in Peachtree City, GA, are working alongside architecture firm HOK on the design plan for the space. Zac Brown’s Social Club will be a full-service restaurant and will also include an adjacent concession stand for quick service food. The restaurant will be open during the 2018-2019 season, the 50th anniversary of the Hawks in Atlanta. The Lynmark Group partnered with Bottleneck Management to bring the Wheeling Town Center its newest addition – City Works Eatery and Pour House. Bottleneck Management is a restaurant group based in Chicago that operates vibrant, upbeat restaurants in the most dynamic neighborhoods and locations across the country. City Works, one of its premier brands, is fast becoming recognized as one of the leaders in the U.S. dining and craft beer scene. The City Works at the Town Center will feature made-from-scratch classic American cuisine with over 90 craft beer selections on tap, many coming from local and regional breweries. City Works also offers patrons a fresh and energetic atmosphere with a premier audio/visual system that provides state-of-the-art sporting and music entertainment. City Works will occupy 10,000 square feet of indoor/outdoor seating on the Town Center’s pedestrian plaza, steps away from its luxury residential living units and right across from the CMX Theater, a 40,000-square-foot cinema and dining venue. CMX will open a 10-screen, 40,000 square foot luxury cinema that will offer patrons from across the region a relaxing movie and dining experience in a fresh, trendy ambience. CMX is an American subsidiary of Cinemex, the sixth-largest movie theater chain in the world. The first Pure Leaf Tea House, located in New York’sSoHo neighborhood will be open for a limited time through September 24, at 79 Greene Street, the Pure Leaf Tea House will offer a collection of real-brewed artisanal Pure Leaf teas, complemented with exotic specialty creations and experiences that represent the entire tea-making process. Guests of the Tea House will see drinks and pairings prepared by Pure Leaf’s tea mixologists in an amazing way, through a combination of tea-brewing and mixology. The menu at the tea bar features rare Purple Tea and a liquid Tea Leaf Essence made with a unique, first-of-its-kind process that tops off each drink and enhances the tea flavor and aroma. Some teas offer a complimentary food pairing, such as savory Popcorn Tea, which is paired with sweet and salty matcha-sprinkled popcorn to elevate the overall flavor experience. Guests can also purchase specially curated tea merchandise such as limited-edition tea blends, premium teaware and accessories, so they can enjoy the Pure Leaf Tea House experience, and quality real-brewed tea, anytime, anywhere. VIP tea mixologists will make appearances at the Tea House throughout the summer to bring their own twists on tea to the tea bar. Liberation Distribution (LibDib), the first alcohol distributor and technology company to offer a three-tier compliant web-based sales platform, is celebrating the first 100 days since launching a new way to think about alcohol distribution. LibDib offers almost 600 craft spirits, wines, ciders and beers on their proprietary platform. Restaurants, bars and retailers (RB&Rs) in California and New York are now legally and efficiently purchasing boutique wines, craft spirits and microbrews from Makers of all sizes using LibDib’s easy to use web-based shopping experience. Unique products currently available via LibDib include a Southern California-made organic vodka with a limited production of less than 100 cases, a New York Maker of craft chocolate whiskey that is brand new to the California market, limited production Hawaiian rum that until now has never been sold off the island, and an Alaskan craft brewer whose beers were previously only available in their local town. LibDib now has almost 600 products on its multi-state distribution platform, with new Makers and RB&Rs signing up every single day. Products include boutique wines, craft spirits, ciders, and microbrews (beer available in California only) made by Makers of all sizes and from more than 20 states and 8 countries. The LibDib web-based platform automatically handles the invoicing, payment processing, collections, and taxes, allowing both Makers and retailers to do business in a more open, efficient and cost effective way. Martin’s Famous Pastry Shoppe, Inc., is pleased to announce Martin’s Famous Potato Rolls and Bread is on the road with Schweid & Sons as they take The Very Best Burger Truck on tour. This summer, Schweid & Sons, a family owned and operated high-quality ground beef purveyor headquartered in Carlstadt, N.J., is taking The Very Best Burger to consumers via a branded food truck. The tour spans key retail areas on the East Coast and Midwest. Visitors to the food truck can try free samples of burgers, with each tour stop showcasing a unique and tailored burger build recipe. Fans can follow along via photos, videos, and recipes on social media, the Schweid & Sons blog, and a food truck tour event tracker. The cultures of the two companies are surprisingly similar. Both family-owned and operated through the fourth generation, they are rigorously dedicated to providing high quality, great tasting food products. In fact, both Martin’s rolls and Schweid & Sons beef have been used together in winning recipes in burger competitions nationwide. Through August, The Very Best Burger Truck is scheduled to visit several cities including Washington, DC; Indianapolis, IN; Buffalo, NY; Pittsburgh, PA; Atlanta, GA; Detroit, MI; Charlotte, NC; Syracuse, NY; and Philadelphia, PA. In each city, the food truck appears at various events such as food and music festivals, community events, and retail locations. To learn more about The Very Best Burger Truck Tour, click here. Georgia-based Corn Upholstery releases its new “American Industrial Collection” of restaurant banquettes and other hospitality furnishings. 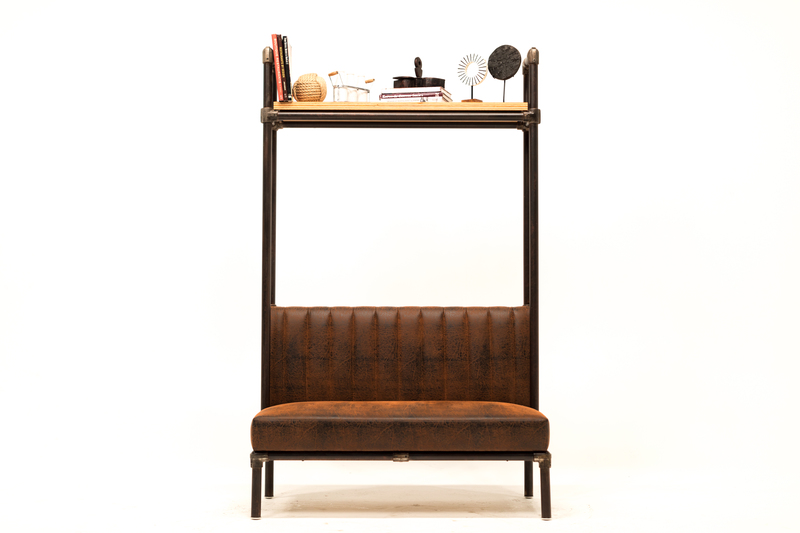 The customizable collection reflects the capabilities of the seventy-year-old company to craft a range of seating solutions in the vast range of styles specified by hospitality interior designers and architects. The James Beard Foundation (JBF) announced that Susan Ungaro will step down as president of the James Beard Foundation. Ungaro will continue to serve in her role as president of the Foundation until December 31, 2017, while the Board conducts a national search for a new leader. During her 11 years at the Foundation, Ungaro was a constant champion of the Foundation’s mission to celebrate, nurture, and honor chefs and other leaders making America’s food culture more delicious, diverse, and sustainable for everyone. Under her leadership, the Foundation enjoyed national and global recognition, initiated a host of thought leadership initiatives and grew substantially to educate and inspire countless members of the culinary community. Her many accomplishments include expanding the renowned James Beard Awards and moving it successfully to Lincoln Center in NYC and then to Chicago. She also spearheaded the launch of an annual JBF Food Conference, fostering dialogue and action to improve our nation’s food system, and created the JBF Leadership Awards, which recognize visionaries in business, government, and education responsible for creating a healthier, safer, and more sustainable food system. Ungaro has also been tireless in highlighting the impact of the organization, promoting diversity in the restaurant industry and reinforcing its position as a change agent in the culinary field. This includes the creation of the JBF’s Women’s Leadership Programs: the inaugural Women in Culinary Leadership (WCL) program and the Women in Entrepreneurial Leadership (WEL) program, launching in September at Babson College. “Susan ushered in an era of amazing growth and success for the Foundation and furthered its mission in the U.S. and around the world. She helped place the Foundation at the forefront of the culinary conversation and advocated for its wide-reaching initiatives. Susan’s presence will be missed by her colleagues and friends, but we look forward to Susan’s continued involvement in the future of the Foundation,” said Fred Seegal, newly named JBF Chair of the Board of Trustees, and Emily Luchetti, outgoing Board Chair. 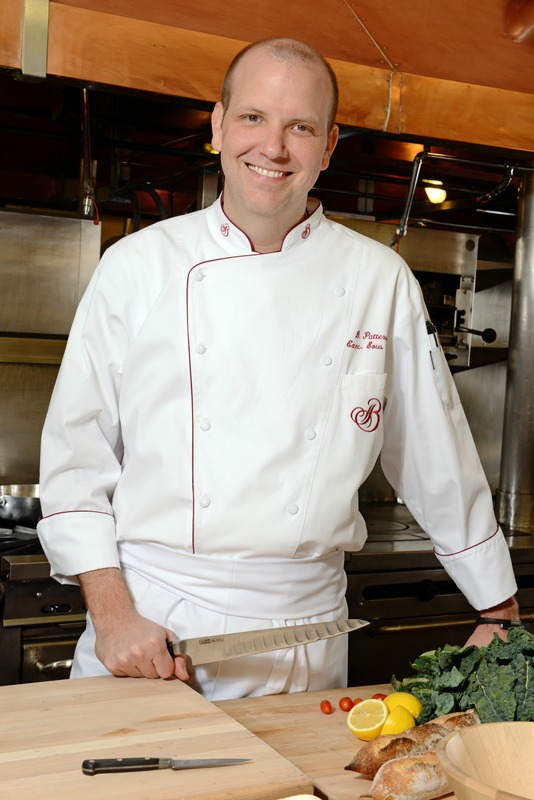 Lawry’s The Prime Rib welcomes Executive Chef Steve Goellner to the steakhouse located steps from Chicago’s Magnificent Mile. Goellner brings over 10 years of hospitality experience from distinguished restaurants, most recently serving as Executive Chef at Sullivan’s Steakhouse and D.O.C. Wine Bar. The Broadmoor, the nearly 100-year-old iconic luxury resort that welcomes guests to the Rocky Mountains, has long attracted top culinary talent and dedicated employees. The resort’s first executive chef remained at his post for nearly 60 years and is rumored to have owned only chef whites. No ties. No slacks. Just uniforms. This dedication to craft and process still permeates the resort, where a commitment has been renewed on doing things the hard way, the old-fashioned way, and the most delicious way. This is a resort that now raises its own beef, bakes its own bread, grows its own vegetables, harvests its own honey, and tends to a greenhouse during the Colorado winters to extend a bit of freshness to the guests’ palates. 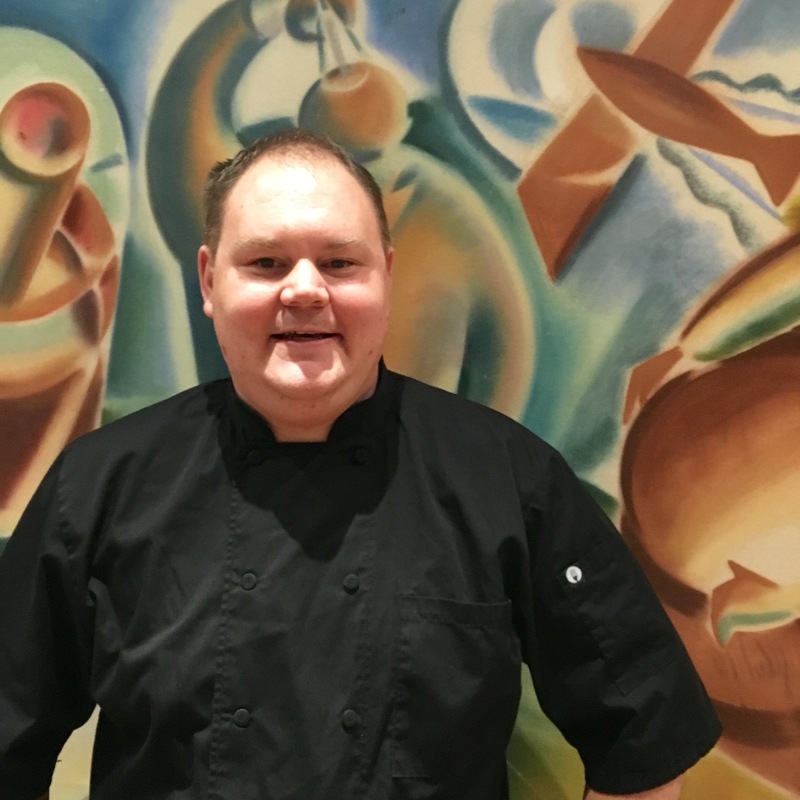 Summit, The Broadmoor’s take on a French bistro, announces new Chef de Cuisine Luis Young, who is also an alumnus of The French Laundry and most recently worked as executive chef at The Bristol Hotel in Panama. 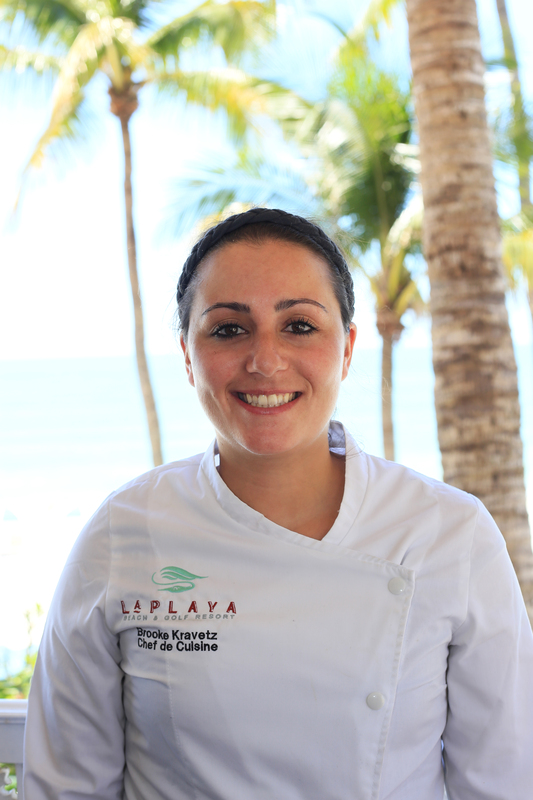 LaPlaya Beach & Golf Resort, a Noble House Resort located on the Naples beachfront, appointed Brooke Kravetz as chef de cuisine of the resort’s signature restaurant, BALEEN Restaurant. Kravetz joins BALEEN Restaurant with an innate talent and passion for creativity in the kitchen, as she enjoys taking classic recipes and flavor combinations and transforming them into new creations. Chef Kravetz moved to Naples, Florida in 2015 and served as executive sous chef at Sea Salt Naples, where she spent more than two years working closely with Chef-Owner Fabrizio Aieli and delved into Italian cuisine. Prior to that position, Kravetz served as chef de cuisine at Kitchen Restaurant in Boston. Chef Kravetz practices a cooking style in which the basic flavor combinations of food are simple, fresh, seasonal, tasty, and presented in a special, unique way. This concept is exemplified with some of her new dishes coming to the menu at BALEEN, such as the Roasted and Not Roasted Beet Salad and Beef Carpaccio Ravioli. Kravetz is a graduate of Cambridge School of Culinary Arts in Cambridge, Massachusetts. The P.J.W. Restaurant Group added Jenifer McGonigle as Director of People and Talent Development. In this newly created role, McGonigle will apply her years of experience to further develop and grow the Human Resources structure for the group’s 1,600 employees in 19 restaurants in Pennsylvania and New Jersey and the Haddonfield-based corporate headquarters. 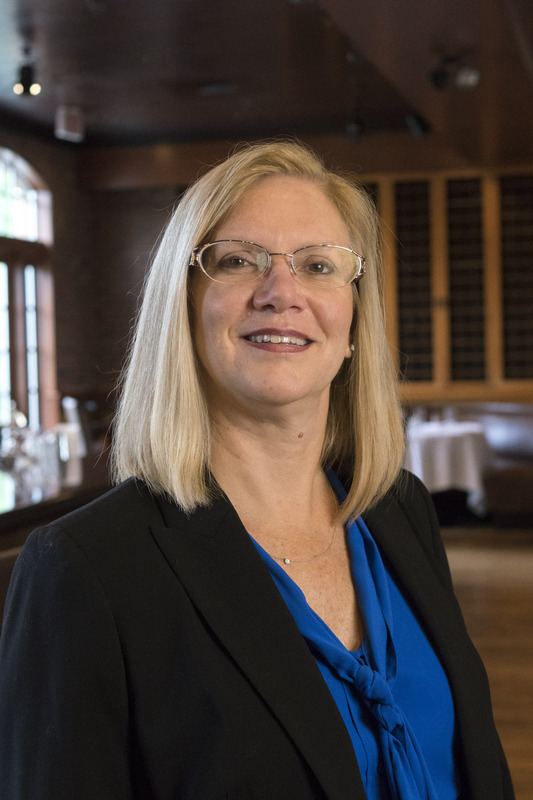 With plans for accelerating growth and doubling the restaurant group’s current size, McGonigle will apply her skills in talent management to help position the group for future growth. She will report to Jim Fris, Chief Operating Officer. Prior to joining P.J.W. Restaurant Group, McGonigle occupied several roles over 16 years at Aramark. Most recently, she was Aramark’s Director of Organizational Effectiveness and Change Management. Prior to that, she served as Senior HR Director designing and implementing HR strategy in the Aramark Higher Education business. RPA Insurance Services announced Susan Kruger has joined the firm as the Head of Claims for Innovative Coverage Concepts (ICC) and Restaurant Programs of America (RPA). Kruger adds over twenty-five years of insurance experience, including fifteen years of experience managing national accounts, loss sensitive programs and third party administrator (TPA) relationships. Prior to joining ICC, Kruger was Vice President responsible for claims management at Integro a global insurance broker ranked among the 25 largest US brokerage firms by Business Insurance. Prior to that she held various positions of increasing responsibility at global insurer, AIG. Innovative Coverage Concepts, LLC (ICC) is a premier, national managing general agency (MGA) focused exclusively on developing and delivering specialized insurance programs for the hospitality industry and restaurants of all types, including fine dining, casual dining, bars, taverns and night clubs. ICC is distinguished by its custom risk management solutions and its innovative processes and technologies developed to assist clients in reducing risk and controlling claims costs and well as streamlining business processes. Restaurant Programs of America (RPA) is a national retail insurance agency focused on providing quality business insurance products and services to specialized market segments, including hospitality and restaurant risks, throughout the United States. Allegretto Vineyard Resort added industry veteran Richard Verruni as General Manager. He will draw upon his vast experience at notable four- and five-star hotels and conference centers throughout the world in continuing to elevate the resort’s reputation for first-class hospitality. “I’m honored to join the Allegretto family and eager to add my skills and experience to the wonderful team here. This resort has brought to life Douglas Ayres’ vision for a respite in Paso Robles Wine Country and I consider it a privilege to be joining this group and this community,” said Verruni. Verruni joins Allegretto Vineyard Resort with more than two decades of director-level experience at a number of prestigious resorts, where his keen attention to detail and unparalleled dedication to the overall guest experience have acted as key factors to his success. 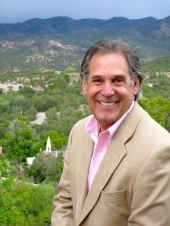 Most recently, Verruni served as Managing Director of Bishop’s Lodge Ranch Resort & Spa, the historic destination ranch resort in Santa Fe, N.M., where he managed all organizational functions, financials, and growth of the resort. Prior to that, he successfully launched La Posada de Santa Fe Resort & Spa in Santa Fe, N.M., as Rock Resorts’ flagship hotel and a leading property in the world. Other properties have flourished under his direction including Rosewood Carenage Bay Resort & Spa in The Grenadines, West Indies, Eldorado Hotel & Spa, N.M., and Westminster Hotel, N.J., to names a few. Verruni began his career in the industry in 1975, first working as National Sales Manager for the Hyatt Hotel Corporation in Winston Salem, N.C. Other titles in his impressive résumé include Assistant General Manager and Director of Marketing for the Hershey Hotel in Philadelphia, Senior Director of International Sales for Hilton International and Vice President of Operations for Unique Hotels and Resorts in New York City, among others. Chef Jacquy Pfeiffer, co-founder of The French Pastry School of Kennedy-King College at City Colleges of Chicago joins the ranks of Sean Connery, Bill Gates and Julia Child, as they have the honor of being named a Knight. Being Knighted by the French Government in the National Order of the Legion of Honor is the highest honor a civilian can achieve. This week, Chicago’sDeputy Mayor Steve Koch, State Comptroller Susana Mendoza, French Consul Vincent Floreani, CEO of Illinois Hotel and Lodging Association Marc Gordon, Alain Weber formerly of Lycée Francais de Chicago and a room full of officials, hospitality industry movers and education and community leaders came together to celebrate Chef Pfeiffer. 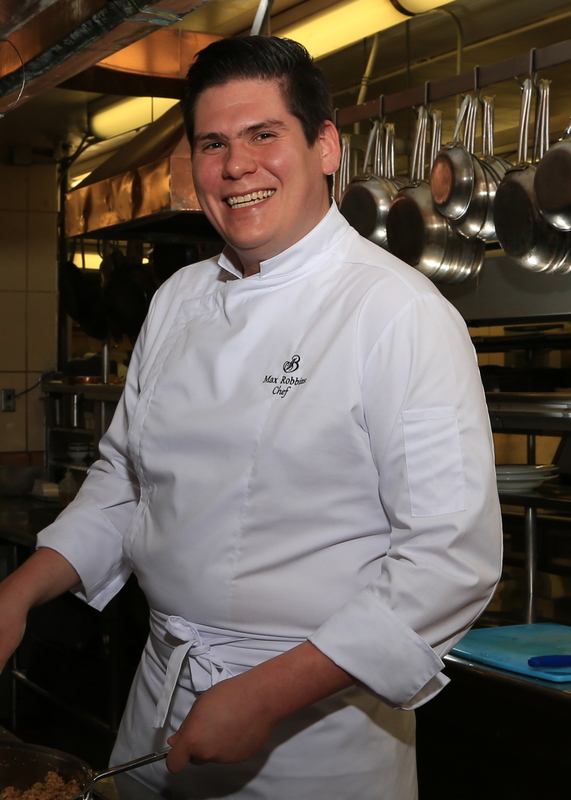 Pfeiffer’s co-founder, Chef Sebastien Canonne M.O.F., was also knighted byFrance in 2015. The duo founded Chicago’s globally known, The French Pastry School twenty-one years ago together with the City Colleges of Chicago. The French Pastry School is the only culinary school in North America specializing in pastry arts. It has become an incubator for entrepreneurs and pastry professionals in Chicago. The school boasts a 91 percent graduation rate, an average of seven jobs per full-time student, small class ration of 1:18 and over 800 partners for job shadow opportunities. Pfeiffer and Canonne are not only superior educators and mentors, they are life-coaches to thousands of entrepreneurs that are now fueling the industry. “The French Pastry School is a tremendous asset for Chicago, an important culinary hub in the U.S. and supports an industry that requires high caliber talent. For their dedication and the pipeline of exceptional talent, we are ever grateful,” said Jennifer Chase, Illinois Hotel & Lodging Association. “Chef Jacquy and Sebastien have built a globally recognized brand that has undeniably become a valuable asset to our city. The French Pastry School is an institution that I hope will remain in Chicago and continue to flourish and feed our great city, both with pastries and with talented professionals,” added Deputy Mayor of Chicago, Steve Koch. The impact this school has on the community is immeasurable. Their graduation rates are the highest in the City Colleges of Chicago, hundreds of businesses rely on them for generous support, the hospitality industry is constantly fed and supported by high level graduates thus increasing the workforce in Chicago. “Because the school is in Chicago, our restaurants have soared to great culinary heights. It has produced a long line of highly talented, incredibly skilled chefs and its graduates have indeed created a positive ripple effect on the local, regional and national hospitality industry,” said Rick Bayless. As a leader of innovative solutions in the specialty paper industry, Expera has continued to customize its line of food packaging and processing papers with its newly launched brand Prepera™ Food Processing Papers. Expera’s Prepera™ Papers keep individual food slices neatly separate and wrapped, while easily releasing from products that have been vacuum packaged, frozen, or thawed. Offering a breadth of performance options, Expera produces layout sheets for raw and pre-cooked applications as well as paper-based solutions designed to address a variety of needs in today’s refrigerated and frozen food categories. The new line of Prepera™ papers are designed to resist oil, grease, and water and are available in low to high wet-strength varieties. Staying committed to Expera’s sustainability Initiative, SOAR™, Expera’s Prepera™ papers can be produced with bleached, natural, blended and post-consumer waste recycled options and can carry Chain of Custody certification through FSC®, SFI® or PEFC certification schemes. Thai Union Group PCL has committed to measures that will tackle illegal fishing and overfishing, as well as improve the livelihoods of hundreds of thousands of workers throughout the company’s supply chains, according to Greenpeace International. Thai Union’s new commitments build upon its sustainability strategy SeaChange®, including efforts to support best practice fisheries, improve other fisheries, reduce illegal and unethical practices in its global supply chains, and bring more responsibly-caught tuna to key markets. Through an innovative new sustainability initiative, the CropLife Foundation and Meredith Agrimedia are coming together to tell the story of how today’s agriculture is a leading and vested partner in the movement to reduce food waste. Consumers are increasingly aware of the environmental, economic and social price tags attached to food waste. Food Business News listed “food waste frenzy” among its top 10 food trends for 2017. National Geographic ranked “sustainability awareness and food waste” as one of its “5 Food Trends to Watch” this year. In the United States, up to 40 percent of all food produced is lost to waste, according to USDA estimates. Against this backdrop of heightened awareness and concern about this growing issue, the CropLife Foundation and Meredith Agrimedia will connect with consumers to raise awareness of the efficiency-enhancing technologies and sustainable production techniques employed by today’s farmers. To accomplish this, the CropLife Foundation and Meredith Agrimedia, along with enabling partner FLM Harvest, will implement a comprehensive public affairs campaign centered on food loss and waste. The campaign will meet consumers in their kitchens and in the aisles of their local grocery stores, delivering farmers’ messages of agricultural sustainability and stewardship via publications and social media outreach. A cornerstone of the campaign will be an innovative “bookazine” – an illustrated publication that looks like a magazine but acts like a book – that will be available to consumers at newsstands and grocery checkout lanes. The bookazine will feature recipes and tips for minimizing food waste in the home, interspersed with farmers’ personal stories of fighting food loss in their fields through the use of ag technologies. The agriculture and broader food industries continue to make strides in reducing food waste and conserving water, land and natural resources through sustainable practices. The CropLife Foundation is inviting companies that want to increase their stewardship, corporate responsibility or sustainability efforts to join the initiative as collaborating partners. To join the food loss and waste movement or to explore other avenues for getting involved, contact Bill Kuckuck of the CropLife Foundation at bkuckuck@CropLifeAmerica.com. Women of the Vine & Spirits, the trade alliance devoted to the advancement of women in the alcohol beverage industry and advocating for diversity initiatives will facilitate the first of its kind gathering of top male and female executives in the alcohol beverage industry for its inaugural Executive Summit, held September 13, at City Winery in New York City. The Executive Summit will focus on topics and best practices for starting or growing an internal women’s leadership initiative. Topics to include Organizational Structure, Elements of an Effective Women’s Initiative, Workplace Diversity, Succession Planning, Financial Equality, How to Start and Run a Successful Mentoring Program, How to Measure Program Effectiveness, and others. The groundbreaking summit is open to Corporate Partners of Women of the Vine & Spirits and by invitation only and will feature presenters including Sarah Bettman, Talent Development, Diversity & Inclusion, Constellation Brands;Molly Davis, Vice President, Premium Marketing, E. & J. Gallo Winery;Marlene Gordon, Vice President, General Counsel, Bacardi North America Corporation; Jeffery Tobias Halter, President, YWomen; Vanessa Kay, Senior Vice President, Veuve Clicquot, Krug and Ruinart USA at Moët Hennessy USA; Clarice Turner, Chief Executive Officer, Boudin SF; Carolyn Wente, Chief Executive Officer, Fourth Generation Winegrower, Wente Family Estates, and others. For more information about the Executive Summit, how to become a Corporate Partner or Member of Women of the Vine & Spirits, click here.